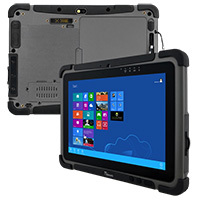 The M101B is the first quad-core powered, enterprise-ready rugged tablet is built to withstand even the most challenging environments. 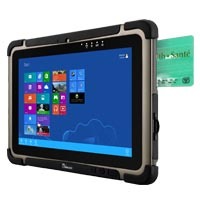 The industrial-grade CPU features Intel’s quad-core Bay Trail processor, Windows Embedded 8.1, and protection against shock, dust, drops and liquid. M101BT includes a built in smart card reader. Building on the overall design of the M101 series, this M101BT with smart card reader is capable of reading Smart Cards compliant with ISO7816-1,2,3 and T=0, T=1 protocols. 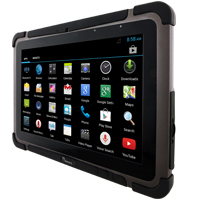 The Android 4.2-based M101M4 tablet shares the design, dimensions and 10.1-inch display with the M101 series. the M101M4 runs on a 1.5GHz ARM Cortex A7 processor with 1280 x 800 pixel resolution. Depending on the application and the deployment model, a high resolution model and hot-swap battery may not be needed. M101BL is a cost effective 10.1” rugged tablet PC with screen resolution at 1280 x 800 but with the same processing power as the M101B.